This July, industrial biotech returns to its largest and grandest stage at the BIO World Congress, which convenes in Philadelphia on July 16th through the 19th, and the plenary program brings CRISPR technology under the klieg lights and moves into the world of pret-a-porter — the biobased type— as the industry’s opportunities turn towards advanced materials and even high fashion with novel, high-value functionality. It’s high style and high value, combined. (Complete details about the BIO World Congress, here). 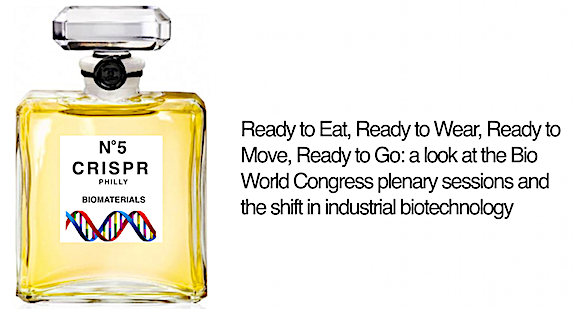 Complete details about the BIO World Congress, here.